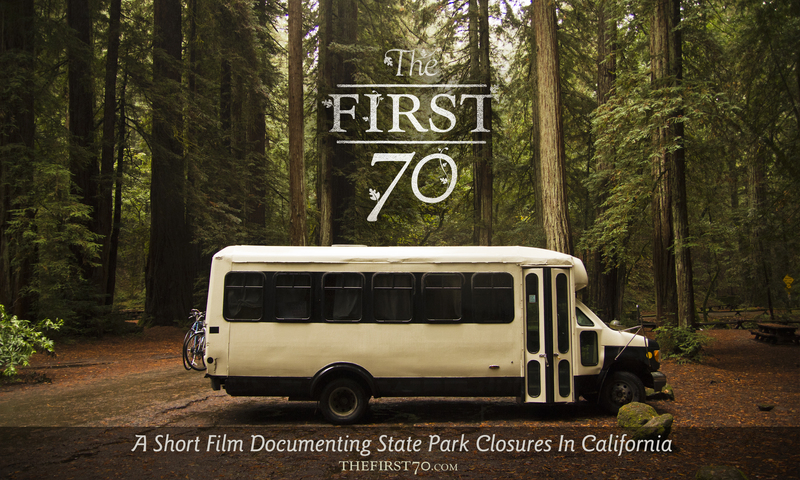 There are some new opportunities to catch two awesome documentaries about California state parks in person or in the comfort of your own camper. Be sure to check them out! 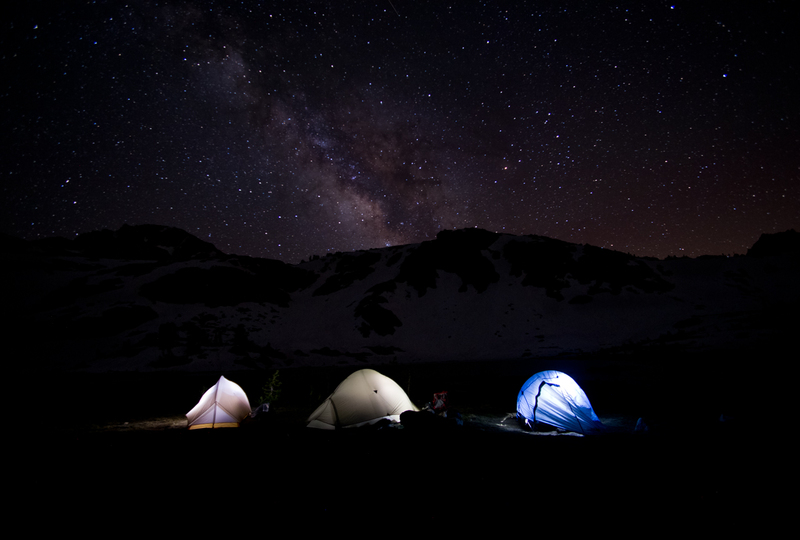 See a screening of a new documentary by The Muir Project, Mile … Mile & A Half. The screening is June 15 at the Guild Theater in Sacramento. See a screening of the film, see a musical performance by Opus Orange, and do a Q&A with the film crew. Half of ticket proceeds from the screening with be donated to CSPF, so double bonus! More info on Facebook, and direct ticket sales here. 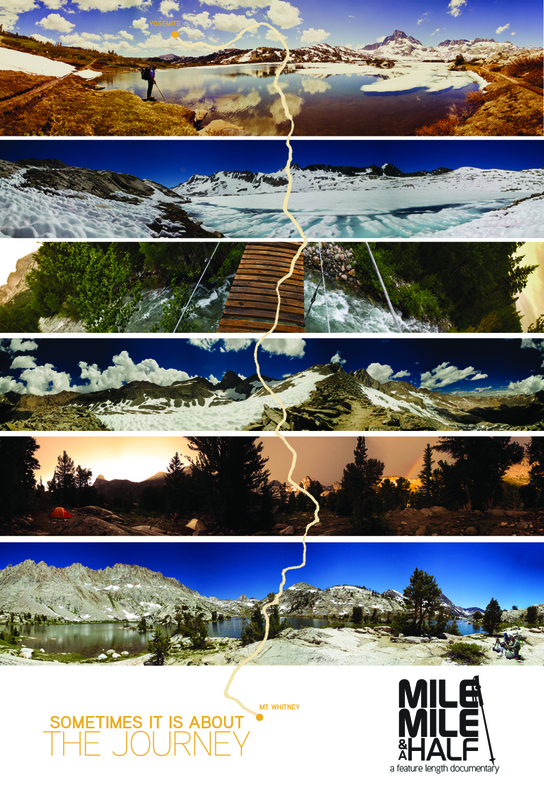 A group of artists leave their daily lives behind to hike the John Muir Trail & bring back their experiences and inspiration. From Yosemite Valley to the highest point in the contiguous US – Mt. Whitney. 219 miles in 25 days. Along the way, they are joined by musicians, painters, teachers and other adventure-seekers. In the midst of the grandeur and daily grind, they discover what matters most is the opportunity to seek adventure wherever and whenever you can. What began as an adventure to see – let’s be honest – if they could complete the trail, became the need to capture the experience in order to share the trail with others. Come see how life on the trail shapes the lives of artists and individuals. You’ve heard us talk about this film before (because we love it), but now The First 70 is going to be widely available for everyone to enjoy in a new DVD box set and on digital platforms. The new DVD has lots of cool extras, including behind the scenes, cutting room floor, photo gallery, and a special download from CSPF! When they heard the state of California wanted to close a quarter of its state parks, three young filmmakers set out to visit the 70 parks that were doomed to close. Along the 3,000 mile trek, they capture both the majesty of the state’s parks and the outrage of local community members, park rangers and environmental activists who are confounded by the State’s financial logic, yet determined to keep these wondrous expanses of beauty open to the public. The First 70 is a about Californians banding together to enact change and develop solutions in the face of a glaring bureaucratic oversight. Volunteers have been forced to lend even more of their time and effort to support the already grossly underfunded state park system. Independent organizations and nonprofits have become obligated to step up to the challenge of keeping parks open, supporting them financially while working within the state’s guidelines. Due to these citizen-led efforts, the 70 parks were not closed on the July 2012 deadline, however their future is still hazy. 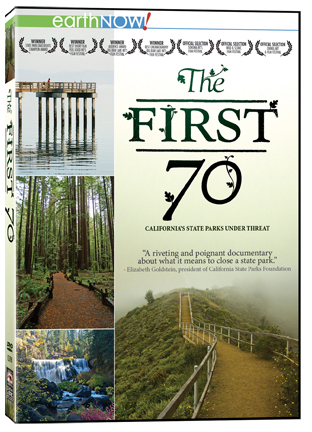 This entry was posted in California State Parks, Park Partners and tagged California, documentary, film, Hiking, John Muir Trail, Mile ... Mile & A Half, Movie, outdoors, Park, screening, The First 70 by CalParks. Bookmark the permalink. I would like to see a mile, mile and a half but I do not live near Sacramento. Where else can I see it? More screening will be popping up on the filmmakers’ website: http://www.themuirproject.com. Check it out for other options.